Post-traumatic Stress Disorder (PTSD) is a series of reactions brought on by a traumatic event that do not disappear over time, such as fear, trouble sleeping, jumpiness, and upsetting memories of the event triggered by surroundings. Many veterans suffer with PTSD after returning home from their tour of duty, and have a hard time assimilating back into ordinary family or community life. Instead of relying only on medications, they are treating their symptoms with the help of four-legged daily companions. A service dog is one that is trained to specifically perform tasks for the benefit of an individual with a physical, mental, sensory, psychiatric, or intellectual disability. Service dogs meant specifically for PTSD therapy, provide many benefits to their veteran companions. 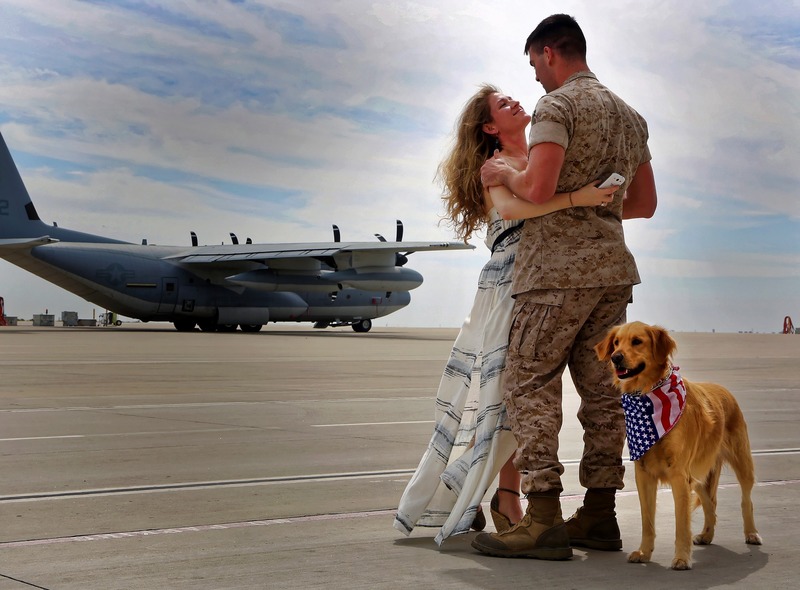 These dogs provide emotional support, unconditional love, and a partner that has the veteranâ€™s back. Panic attacks, flashbacks, depression, and stress subside. Many vets get better sleep knowing their dog is standing watch through the night for them. Taking an active role in training and giving the dog positive feedback can help the veteran have purpose and goals. They see that they are having a positive impact and receiving unconditional love from the dog in return. The dog can also be the veteranâ€™s reason to move around, get some exercise, or leave the house. Bonding with the dogs has been found to have biological effects elevating levels of oxytocin, which helps overcome paranoia, improves trust, and other important social abilities to alleviate some PTSD symptoms. When the dogs help vets feel safe and protected, anxiety levels, feelings of depression, drug use, violence, and suicidal thoughts decrease. Service dogs can also reduce medical and psychiatric costs when used as an alternative to drug therapy. Reducing bills will reduce stress on the veteran and their family. Service dogs can help disabled veterans with safety and independence by performing specific tasks. These dogs can be trained to turn on lights, open doors, retrieve medications or dropped items, call 911, and more to help the veteran attain a higher quality of life. They can watch their vetâ€™s back while at an ATM or other public place to alleviate hyper-vigilance issues. The dogs can also provide tactile interruption during flashbacks by nudging, pawing, or licking, and be a soothing presence upon waking from nightmares. Veterans who have utilized service dogs have reported positive effects in other aspects of their lives. Relationships with family and friends have improved. Theyâ€™ve been able to do things that their PTSD symptoms may have prevented them from doing in the past, such as go back to school, work, start a new career, attend social events, and focus on their community. An overall feeling of happiness can be achieved with the help of service dogs to improve the everyday life of veterans and their families. Check out the Department of Veteranâ€™s Affairs for information on the VAâ€™s service dog program here. To learn about Paw for Veterans and how they use and train shelter dogs visit their webpage.